Some time ago the Avantgarde Rec. sent me an interesting material – Exaudi Vocem Meam (part 1) by the French band Dark Sanctuary. To those who have never had any contact with this group I explain that they play ‘Dark Atmospheric’ or ‘Avantgarde Classical Ambient’ (as the label calls it). As I oppose strict categorisation of musical projects, I will only say that the music by the French has its niche midway between Dead Can Dance and Arcana. 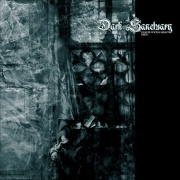 Dark Sanctuary even published a very successful cover of one of my favourite DCD songs – ‘Summoning of the Muse’. But returning to the band and its latest work… It is a really fine record and a good material for people who like the artists mentioned above. Listening to it, I got the impression that Dark Sanctuary creates equal albums, they’re all in one concrete style and they’re all produced on a relatively high level. The abundance of sounds on ‘Exaudi Vocem Meam’ can charm the listener. Dame Pandora – the vocalist of the band really puts her heart and soul into singing and I can hear it very clearly, even despite the fact that I don’t know French. Her strong but very feminine and sensual at the same time voice harmonises perfectly with the musical compositions of the rest of the band’s members. But what gives me most of the pleasure is the fact that you can see the evolution of the band. More and more often I come to the conclusion that bands are afraid to experiment and consequently we are given more and more schemes. Fortunately, Dark Sanctuary found the courage to change a bit their path and to experiment a bit, which worked for their advantage. Although the album is still kept in the typical for them climate, it’s not boring and, what’s equally important, it’s not a copy of their previous records. I can recommend this album with my conscious clear. As long as you’re attracted by such climates, you won’t get disappointed with this publication.